Revel in the snowcapped mountains of Sapporo and prepare yourselves to a new and exciting skiing experience! It provides a wide selection of slopes for beginner, intermediate and upper-intermediate skiers. 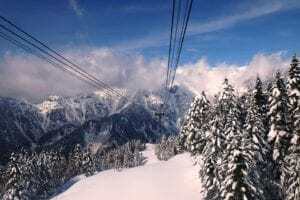 The ski resorts are very close to the city and you can enjoy the slopes straightaway with extensive ski equipment and ski-wear rental services. Enjoy high quality, powder snow every day! Sapporo is the fourth largest city in Japan by population and the largest city on the northern Japanese island of Hokkaido. Sapporo is known outside Japan for having hosted the 1972 Winter Olympics, the first ever held in Asia, and for the city’s annual Yuki Matsuri, internationally referred to as the Sapporo Snow Festival, which draws more than 2 million tourists from around the world. The city is also home to Sapporo Brewery and the white chocolate biscuits called shiroi koibito (白い恋人, “white sweetheart”). A culturally rich ski holiday awaits you in beautiful Furano. The mountain is a favorite by powder enthusiasts and resort skiers alike and has been a host to 12 FIS World Cups. Due to a cool inland climate, the resort receives an incredibly light dry powder snow, and frequent bluebird days allow for spectacular views across the valley. Just below the slopes is a town steeped in tradition whose residents delight visitors with cultural music and theatrical performances in the many local restaurants and bars. Hotel Edel Warme is located on a hill with a full view of the Mt. Taisetsu. It is relaxation resort hotel having North European exteriors and lavender color’s guest rooms. Furano Ski Resort is highly popular even among Hokkaido’s many prominent ski areas. The resort has a wide range of slopes for both skiing and snowboarding. Step out and soak up some local color just minutes from the ski resort. A charming snow dome bar and restaurants dot the ski area while the town bustles with friendly restaurants, bars, cafés, and shops. Arrive in Japan – The Land of the Rising Sun. Upon arrival at New Chitose/Wakkanai Airport, receive a warm welcome. Transfer to the hotel by private coach. Check into the hotel. The whole day is free for leisure. Have your dinner on your own and stay overnight at your booked hotel in Sapporo. After breakfast, check out the hotel and proceed for the Ski Tour. Gather at designated hotel in Sapporo and board the bus bound for Kitanomine Gandola. Check into the hotel. Have dinner on your own. After dinner, stay overnight at the hotel in Furano. Breakfast at the hotel. After breakfast, enjoy skiing (with accessories ski/ Snowboard equipment set, Snow wear set & Boots) on the powdery snow around the resort (the resort has a wide range of slopes for both skiing and snowboarding). Have your dinner on your own and stay overnight at your booked hotel. Enjoy your breakfast and check out the hotel. Board the bus from Kitanomine Gondola bound for designated hotels in Sapporo. Upon arrival, check into the hotel. The whole day is free for leisure. Stay overnight at the hotel in Sapporo. After your breakfast at the hotel, check out. Board the SIC transfer to New Chitose/Wakkanai Airport for your international flight. We are a leading Japan Destination Management Company located in New York, United States. Copyright © 2017 Asahi Group.